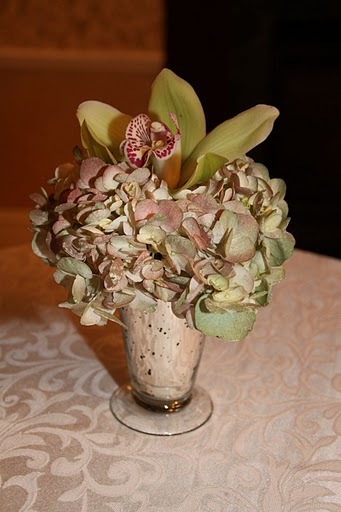 Dana Markos Events; Event Design and Floral Styling: The Beginning of Fall Weddings! The Beginning of Fall Weddings! After spending over 23 years together, our bride and groom JoAnn and Jim decided it was time to tie the knot, and we were thrilled to have gotten the opportunity to work on this event. The classic style of the bride’s dress is what inspired the look for the flowers, using a color palette of whites and crèmes and hints of green. For such a special couple we wanted to make sure we filled the room where the ceremony and reception would be taking place with a variety of pieces. 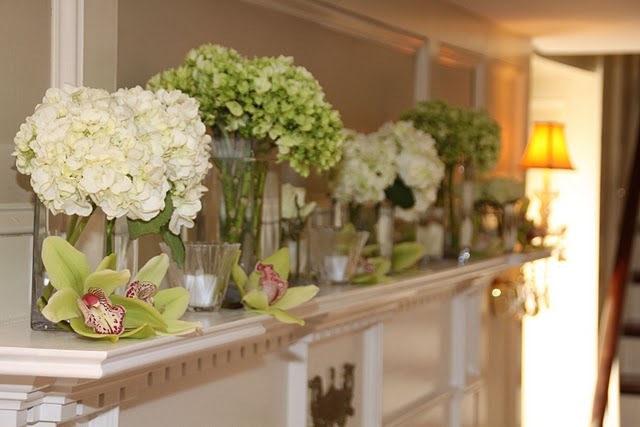 The main focal point of the ceremony was a mantle over the fireplace that held a mixture of glass vases and types of flowers, with roses, hydrangea, and even orchids. By adding some votives, we felt like the mantle really enhanced the space of the ceremony, not that it needed much help with our beautiful bride and groom standing up there! To add some different levels of dimension for the reception tables we used some tall vases and some short ones. 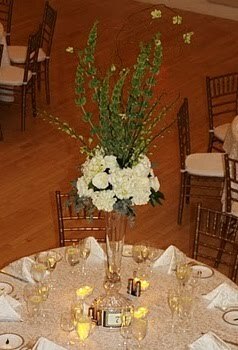 Both were made of white flowers, including hydrangea, roses, orchids, and also plenty of greens, like lemon leaf and seeded eucalyptus leaves. 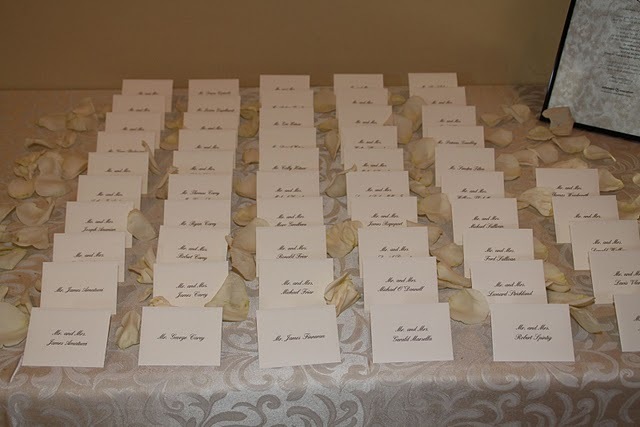 Of particular importance to the bride was to make sure we added some special personal touches, since her groom is 100% Irish! 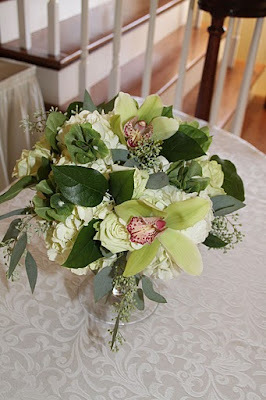 So you’ll notice bells of Ireland in not only the centerpieces, but also the groom’s boutonnière! 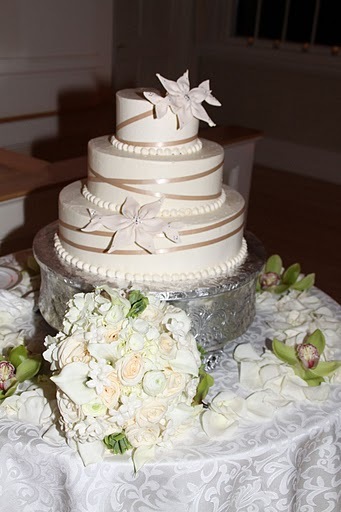 With a few more details, like rose petals on the welcome table, small arrangements on the cocktail tables, and some decoration around the cake, this event came together perfectly! 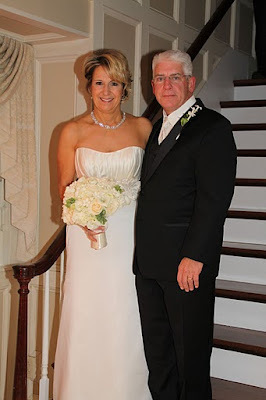 We wish JoAnn and Jim a lifetime of happiness and know the future will bring them even more joy! All photography is by Jill Levine! Thanks Jill for your beautiful work!